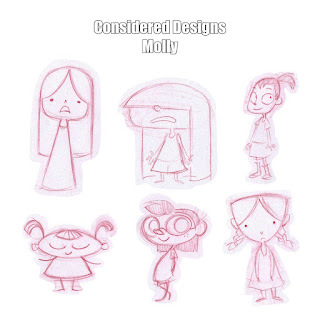 Our final assignment for the week was to create a set of three characters based off of a short audio story called Brave Molly by Terry Jones. 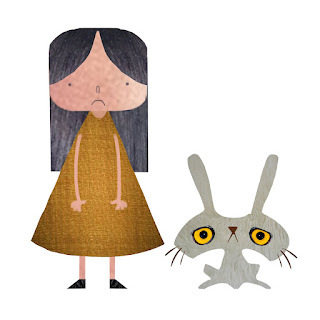 The characters included a little girl and a big furry monster eventually transformed into a cute little rabbit. 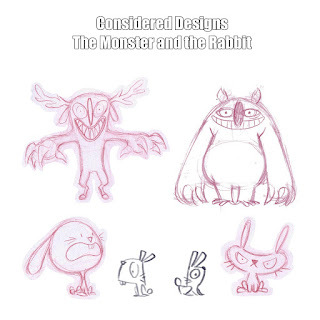 It was really interesting going through the different stages of concept art. 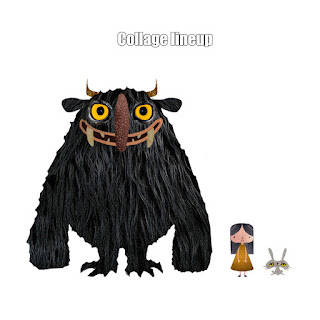 I tried finding shapes and characters in paint-splatter pages, collage and more conventional sketching and digital painting. 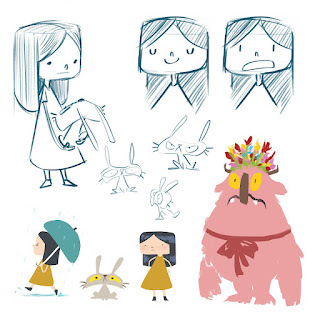 Since we had to design for a young audience it was nice to experiment with simple shapes. 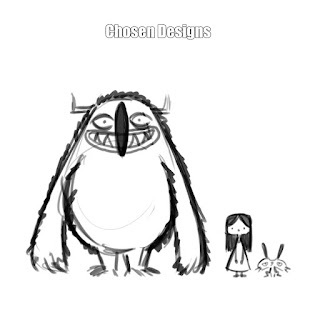 In the end I came up with something akin to storybook illustrations. There's still lots of adjustment to consider but overall I'm pretty happy with the effort.